The Sony Ericsson Xperia J comes with a GPS receiver, which took about two minutes to get satellite lock upon a cold start. You can use the A-GPS functionality to get near instantaneous locks. Alternatively, network positioning will do if you only need a rough idea of your location. 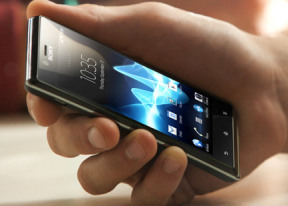 The Sony Xperia J runs ICS, so it has access to most of the latest apps. The Store is organized in a few scrollable tabs - categories, featured, top paid, top free, top grossing, top new paid, top new free and trending. The in-app section is untouched though and it's very informative - a description, latest changes, number of downloads and comments with rating. There are usually several screenshots of the app in action, and oftentimes a demo video as well.